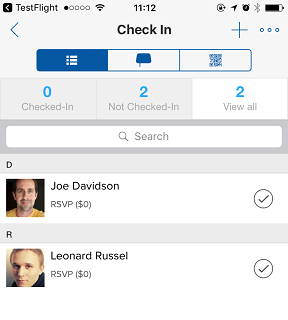 Checking in attendees is quick and easy with our mobile app for iOS (download app) and Android (download app) devices. 3. 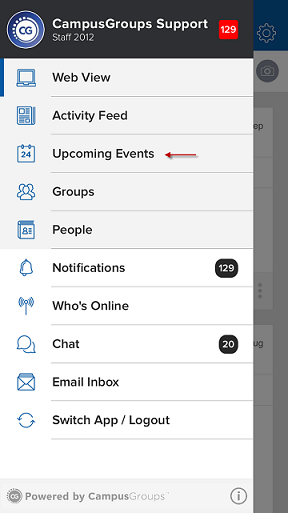 Click on 'Upcoming Events' on the main menu. 4. 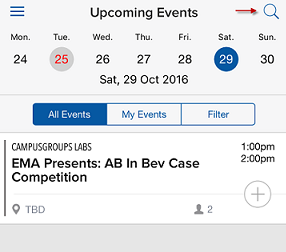 Click on the 'Search' icon on the top right to retrieve the event for which you would like to check in attendees. 5. 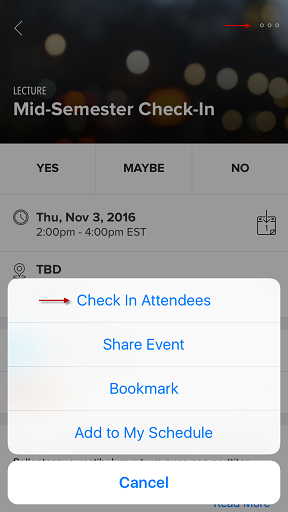 Click on the top right menu and then on 'Check In Attendees'. To check in people manually, you can scroll through the list of attendees, or search people by typing their names and clicking on the 'Check-In' icon. 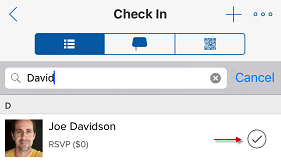 You'll see a green icon next to the attendee indicating that they've been successfully checked in. 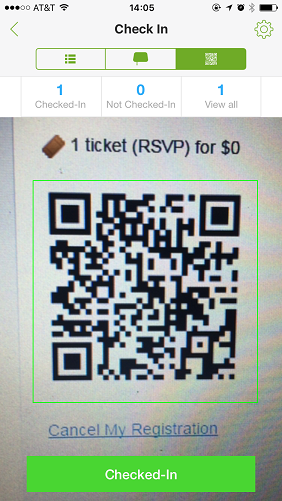 Click on the "QR codes" icon and use the camera on your device to scan QR codes on tickets. 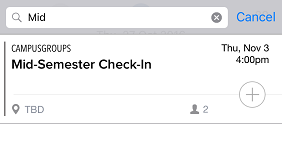 The green "Checked-In" message will appear when the attendee is successfully checked in. 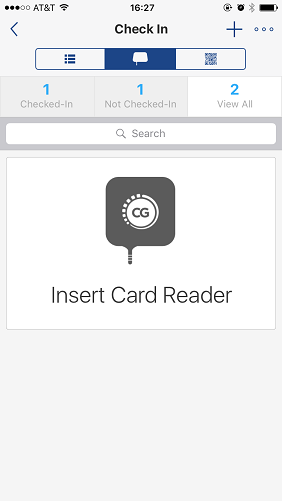 Plug your card reader into your phone and click on the "Card reader" icon. Swipe student ID cards to check them into the event.